This was a live niconico broadcast to commemorate the new CDs for Idolmaster Cinderella Girls. 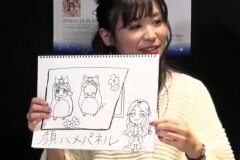 The seiyuu participants were Fukuhara Ayaka, Hara Sayuri, and Ohtsubo Yuka. 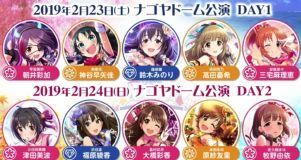 The Starlight Master 25 Happy New Yeah CD will go on sale new week (1/23). 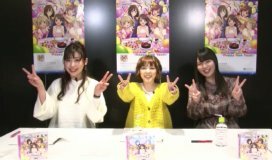 At the end, they announced the seiyuu who will appear at the 6th live Encore Joueikai event in February. 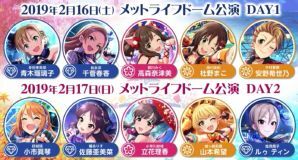 They will show the videos of the four 6th live events at Shinagawa Prince Stellar Bowl and many movie theaters. In the "Countdown Station" video, the host was Harada Hitomi. She played one game on a smartphone, and she said it feels very different as she usually plays on a big ipad.